With roots in the Northern Kentucky and Greater Cincinnati area for more than 45 years, Carlisle & Bray Enterprises carry on the tradition and proud heritage of Greater Cincinnati Marine and Bray Marine. 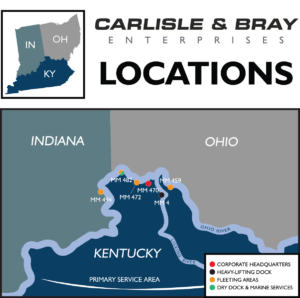 Founded in 2011, Carlisle & Bray Enterprises operates C&B Marine, C&B Energy Services, and C&B Repair and Maintenance, as well as three public fleet facilities on the Ohio River from its corporate headquarters on the riverfront in Covington, Kentucky. Carlisle & Bray Enterprises is a full-service company providing towing, fleeting, shifting, utility byproduct management, consulting services, and more on the Ohio River and its tributaries through our subsidiary companies. 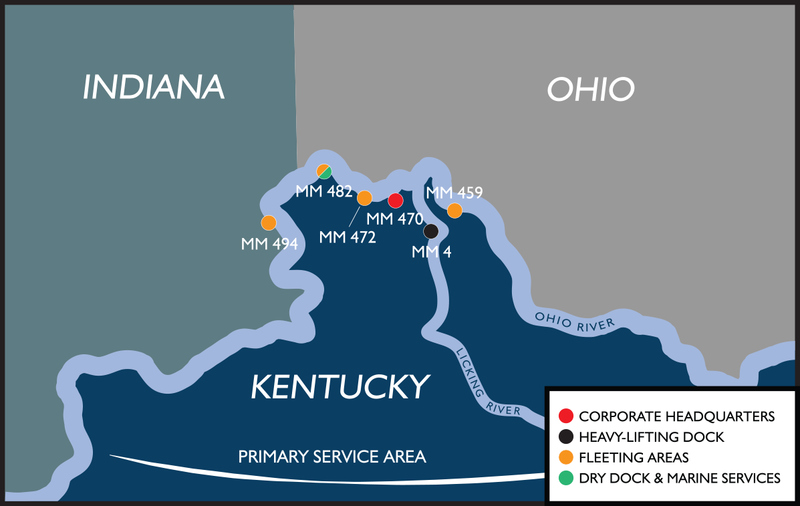 In March 2011, two long-established Ohio River marine operations – Greater Cincinnati Marine and Bray Marine – merged to create Carlisle & Bray Enterprises, LLC, the parent company to C&B Marine, C&B Energy Services, and C&B Repair and Maintenance. Through these companies, we provide a full array of marine- and land-based services, as well as consulting and inspection capabilities, giving our customers total confidence and peace-of-mind that we can meet any need that may arise. From towing, fleeting, and shifting on the Ohio River with C&B Marine to utility byproduct management and movement with C&B Energy Services and dry-dock repair services with C&B Repair and Maintenance, the Carlisle & Bray Enterprises family of companies provides unmatched customer service to meet any of your needs. C&B is fully committed to the messages and missions of Waterways Council Inc., American Waterways Operators, RiverWorks Discovery, The Seamen’s Church Institute, and Living Lands & Waters. 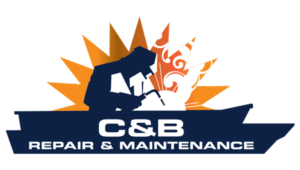 Use this website to learn more about our companies – C&B Marine, C&B Energy Services, and C&B Repair and Maintenance – see the members of our leadership team, understand why safety is so critical to us, and contact our office to discuss how we might be of service to your company. C&B Marine provides a full array of marine services to companies operating on the inland waterways, including towing, fleeting, and shifting; dredging, flat rental, and shore-side assistance; and construction and crane services, including express service and barge hot-spotting. 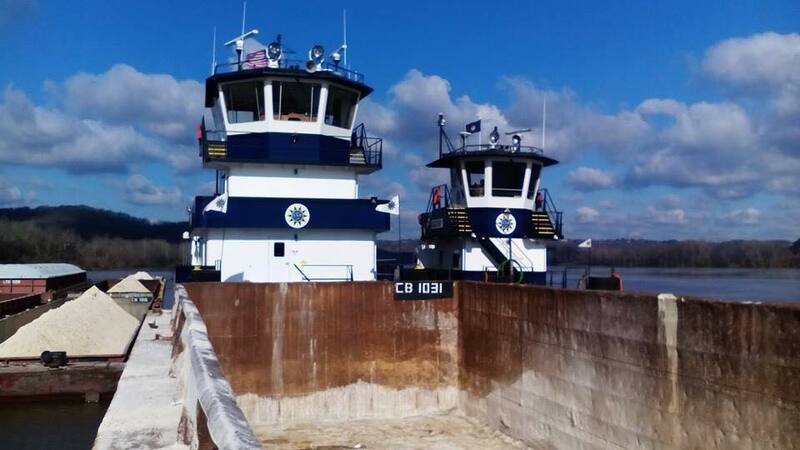 C&B Marine also operates four fleeting areas on the Ohio River and a heavy-lifting dock on the Licking River. Serving utility and aggregate customers across the Midwest and the southern United States, C&B Energy Services provides marine and shore-side services to energy-sector companies, including byproduct movement and management; loading and unloading barge materials; heavy-lifting crane services; barge cleaning and cover handling; cell construction; dredging; and waterway and shore-side construction. 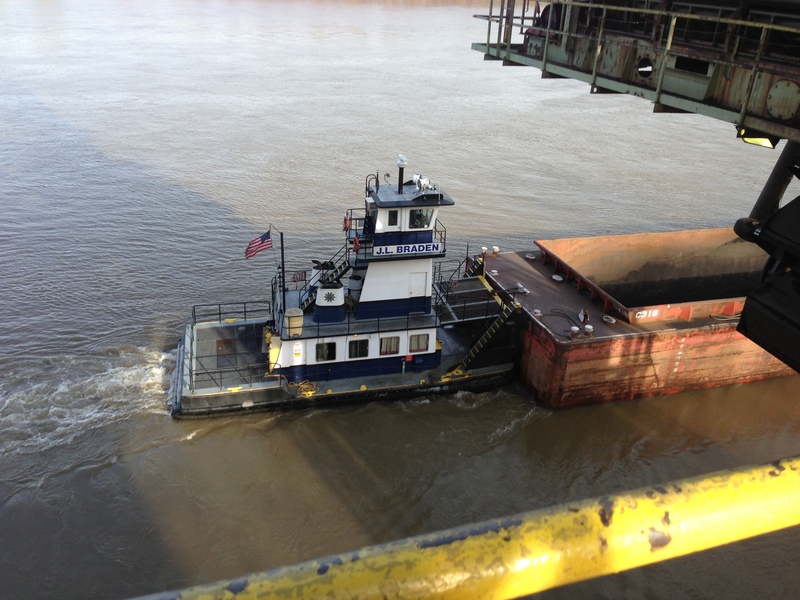 C&B Repair & Maintenance provides repair services for barges, towboats, and other marine vessels and equipment. It also operates a repair facility in Hebron, Ky. (MM482), which includes a 1,600-ton dry dock and other facilities that can accommodate topside and in-water vessel repairs, gear and engine repairs, inspections, maintenance, and machine-shop services.